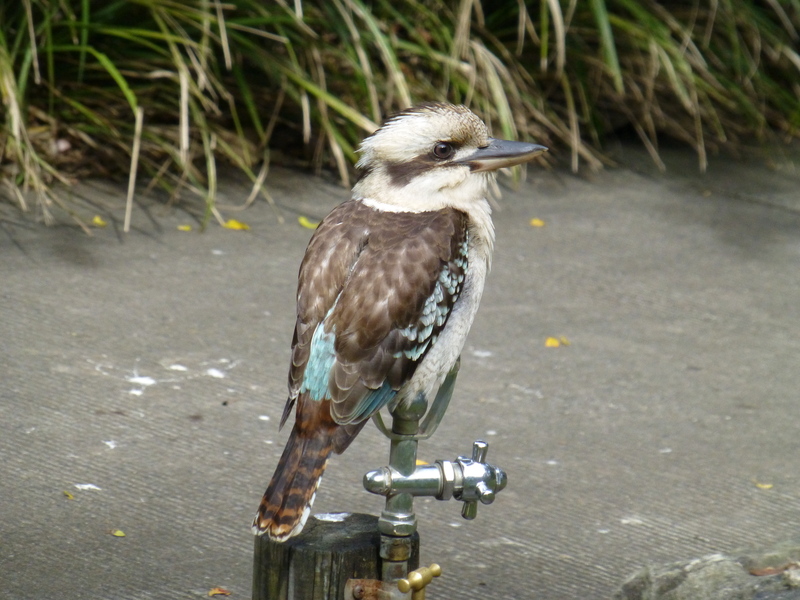 Australia’s iconic kingfisher, the Kookaburra, has adapted remarkably well to human contact. It’s quite common to see them cadging the picnickers for food scraps, even daring to land on their dinner-tables. The response of the humans varies. Some encourage it, others seem to be intimidated. So I guess it isn’t surprising to see these agile birds perching wherever their fancy takes them, whether it be tree branches, hand railings or water bubblers. This is one of my better photos of a Kooka in our local park.